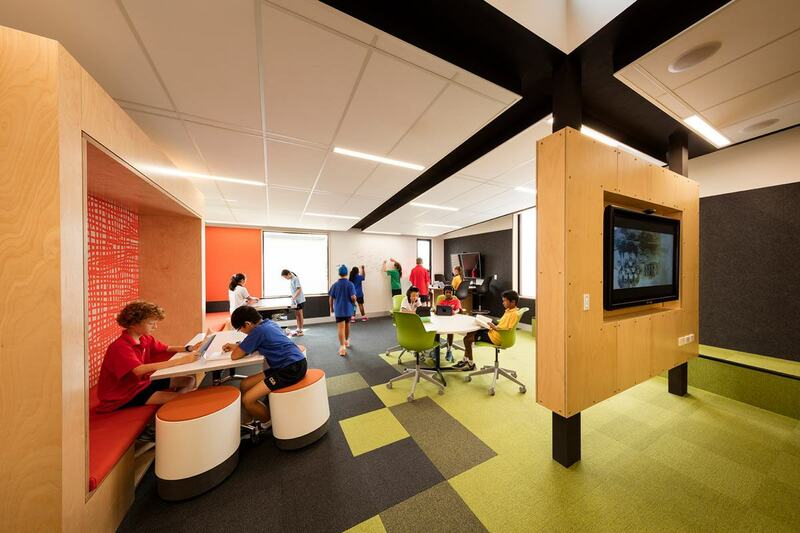 The Learning Project at Caulfield Grammar School has being honoured as Overall Winner, All Categories at the 2016 Association for Learning Environments Australasian Region Awards. The project, which also won the category for Design Solution for an Innovative Program, was praised by the jury as “a bold initiative that demonstrates the interplay between action that is knowledgeable and knowledge that is actionable” and “an important first step in setting standards for the design of truly innovative learning environments”. The Learning Project is a vehicle for change, enabling the school and design team to evolve spaces and settings to support a multi-modal, learner centered pedagogy. In association with LEaRN (University of Melbourne), it’s a project of exploration and discovery, with a series of prefabricated prototype buildings across three campuses to test and evaluate ideas in the evolution of the school’s contemporary teaching and learning practices. The project explores the nature of purposeful settings over highly flexible ones, where users of the space will intuitively understand the activities the settings are designed to support. By limiting the flexibility of some spaces, the quality of experience for the user is increased as the lighting, acoustics, furniture and resources available are appropriate to the learning activity being undertaken. Critical investigation of the successes and failures of all aspects of the project affords both the school and design team a deep understanding of the links between pedagogy and space. Eighteen months into use, the Learning Project is already influencing both the way new building projects and teaching practice are approached at the school.